Varanasi is one of the most important cities in India, it's a pilgrimage town, and it's a place where fascinating sights are available everywhere you look. Honestly speaking, a day walking around Varanasi has potential to create an entire month of memories and interesting sights. Coming back to your guest house room after a long day, and remembering all the things you saw, heard, tasted, smelled, and even the people that interacted with you, will make you smile with amazement. To begin the day, one of the most interesting things to do is go for a sunrise paddle boat ride. As the sun rises over the glassy topped Ganges River, the city seems to almost be in a dream of haze and smoke, with people handling their morning spiritual rituals. Many Hindus line the ghats (a ghat is a series of steps leading down to an important river) of Varanasi, bathing, washing, and taking in the blessings of the holy water. A short distance from the Main Ghat, you'll float past the main burning ghat, an area where bodies are cremated and spread into the river. Peacefully sitting in the row-boat you'll see flames cutting through the fog, and witness the entire crematory process. Another way to find fascinating sighs is to just sit leisurely on the steps of a ghat. 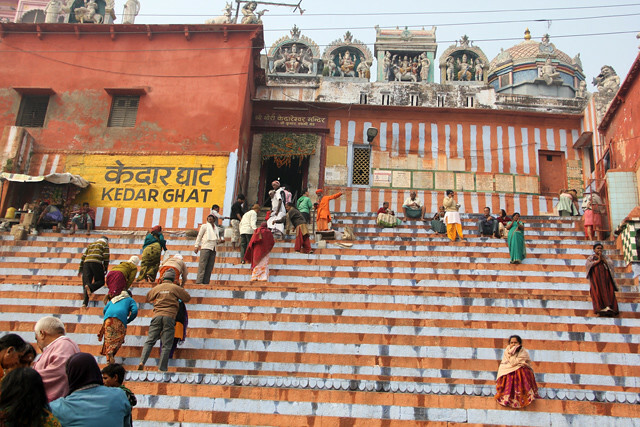 The Kedar Ghat, steps painted in orange and gray, was my favorite place to people watch. All day long, Hindu devotees would splash in the Ganges river, then trek up the steps to the temple, fulfilling a number of rituals and procedures along the way. 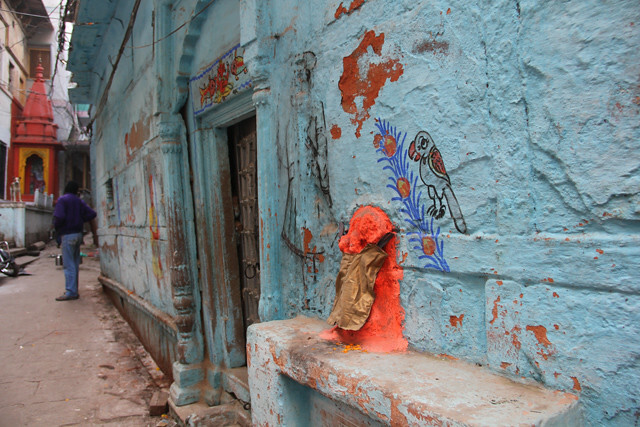 Exploring the narrow ancient lanes of Varansi is another sure way to be awed. Once I was eating a street food snack in the middle of a lane when I heard shouting. Within a few seconds a train of bodies and a following funeral procession glided past me, just a foot from where I was standing. You never know what you'll come across! Walking through the narrow lanes you'll find shops selling everything from food to relics, you'll notice shrines and temples tucked into cave like entrances, and you'll have to navigate your way around massive cows and goats. The walls of buildings are often decorated with paintings and scripts, adding another dimension of artistic character. Finally, there's the food. 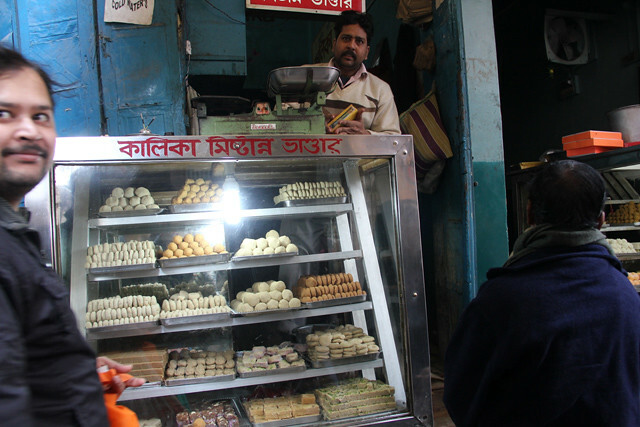 While both north and south Indian food and snacks are represented in Varanasi, the city is also famous for a few of its own unique edible creations. Sweet creamy desserts like malaiyo, laddu, kalakand, and peda, shouldn't be missed. And then there's the famous Varansi chaats, small plates of savory snacks that are incredibly tasty. Wash things down with a lassi, a thick yogurt beverage. If you're up for a final mouth adventure, Varansi is renowned for their high quality of paan mouth-chews, a betel leaf filled with spices, areca nut, and tobacco (optional). Varanasi has long been documented as a unique travel destination and a place of significant cultural, religious, and historical importance. Even well known people like Mark Twain visited Varanasi and were amazed at the sights they saw. The people, the rituals, the Ganges river, and everything that fills the lanes and side streets of the city, make Varanasi always entertaining. I love Varanasi; it’s where I recovered from Dengue Fever :p it was rough, but so much energy around can help heal anyone! 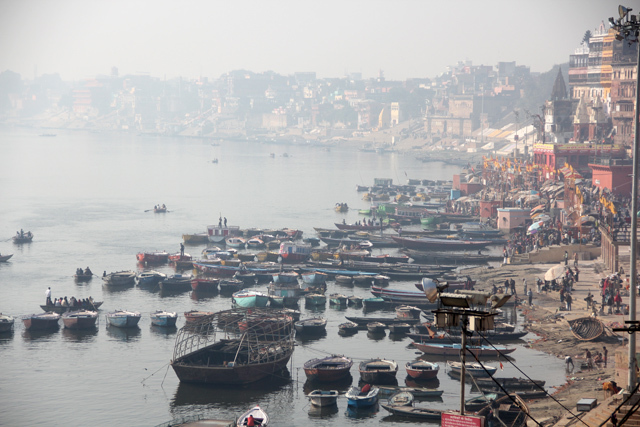 Ganges is a sacred river Called by the name of the Goddess . The wife of Shiva Hindus bathe in the river with her. Residents to pay homage to their ancestors and to their gods . They are in the water with her ??hands. Lift it up and let it flow back into the water of the Ganges , she was used for rituals. 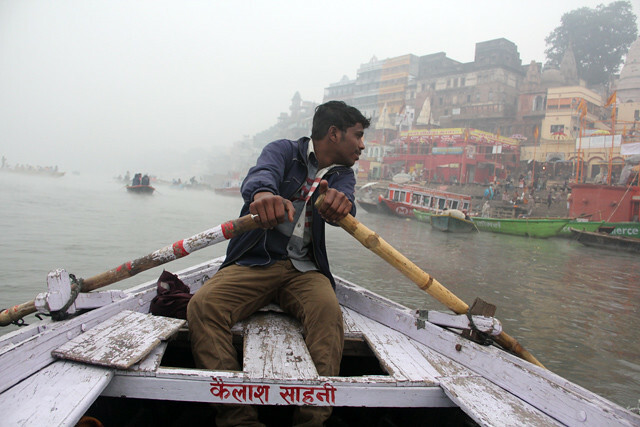 When loved ones die, they are returned to the river Ganges and the ashes into the river . Last year I visited Varanasi and it’s the sacred place. The view of Morning and Evening aarti was awesome. They worships their gods and enchanting mantras.